Mrs. Jessie Mae Wilson was born May 16, 1937, to the late Jessie and Linnie McGee in Blytheville, Arkansas. Her family moved to Benton Harbor, MI in 1949. She met and fell in love with the late Joseph Wilson and was married in 1973. They were married for 27 years until his untimely passing in April 2000. Mrs. Wilson worked for Holly’s Landing as a cook until she retired in 1985. She had a passion for growing plants and shopping. She accepted Christ as her Lord and Savior at an early age and was a member of Progressive Baptist Church in Benton Harbor. She will be remembered for her great love of family and friends. 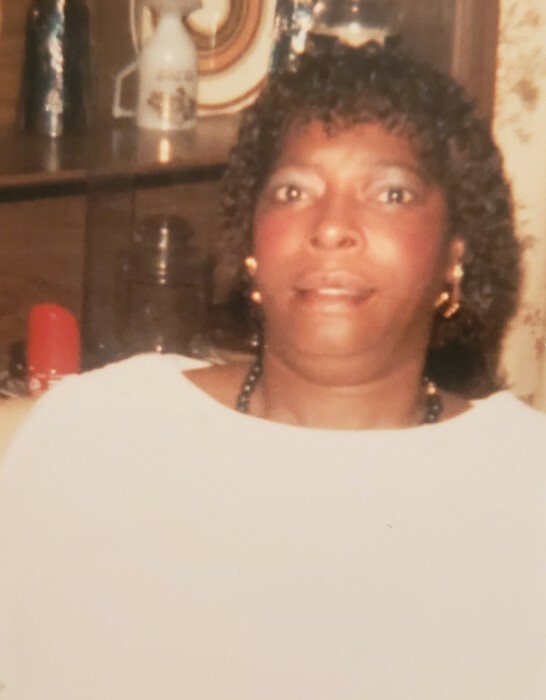 Jessie Mae Wilson departed this life on Wednesday, April 3, 2019, in Elkhart, IN. She was 81 years old. She leaves behind fond memories in the hearts of her children; daughter, Delores Purdiman (Edward); sons, Wilton Bonds, Wavie Bonds and DeShawn (Janet) Bonds; daughters Joanne Smith and Selissa Marshall (Keith) all of Elkhart, Indiana; daughters, Fairy Bonds and Mary Bonds, of Benton Harbor, Michigan; son, Joe Bonds of Clarksville, Tennessee; grandchildren, Larry McCauley, Tomeka McCauley, Andre McCauley, Monique (Blade) Vinson, Ebony Washington, Tequila Jennings, Percy Harrison, Taquella Harrison, Siedia Shannon, William Shannon, Lemeisha Dugger, Myisher Dugger, Paula Dugger, Jamaria Ware- Curtis (Keith), Lanaro Bonds, Tynika Bonds, Shanika Bonds, Destiny Bonds, Chinetta Pittman-Massey, Dominique Bonds, Gabrielle Daniels, Tacara Branch, Deon Branch, Deshawn Richardson, Demeshia Williams, Dominique WIlliams, Destiny Williams, Chalette Dickerson, Stacey Huddleston, Marlisha WIlliams, Ronald Autry, Demarrio Bonds, DaVonte’ Bonds, Roger Huntley, Gabrielle Mitchell-Bonds; Sisters, Viola Daniels and Marva Pullen; a host of great grandchildren, great- great grandchildren, nieces and nephews, great nieces and nephews, cousins, and god children. She was preceded in death by her parents Jessie and Linnie McGee; husband, Joseph Wilson; brothers, James Glespie, Willie Glespie, Joe McGee and Jack McGee; sisters, Oleatha Walls, Lulamae Albert, Thonia Harris; daughters, Dorothy McCauley, Debra Harrison, and Loraine Bonds; grandson, Lovell Dugger.